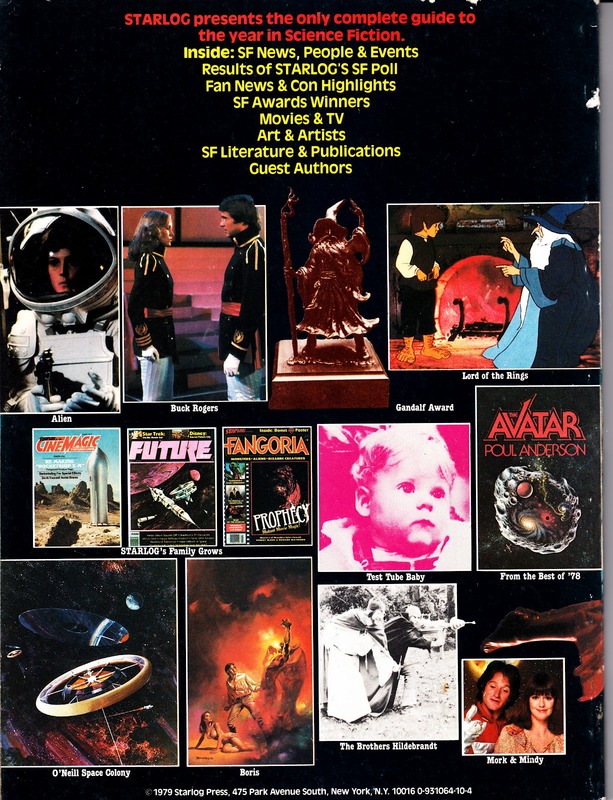 STARLOGGED - GEEK MEDIA AGAIN: 1979: STARLOG'S SCIENCE FICTION YEARBOOK. 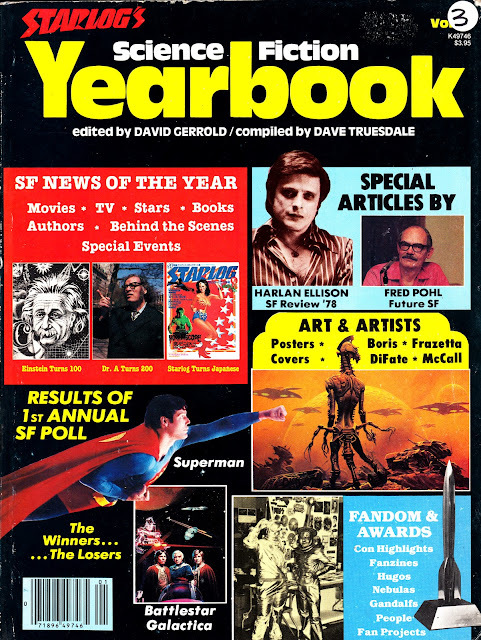 This is STARLOG MAGAZINE's first (and only) SCIENCE FICTION YEARBOOK, published in 1979. It was an all-new (no reprints or "best bits") square-bound softcover magazine-format review of 1978-79. It's a pity these didn't continue as it makes a neat geek-history document. However, the US magazine did persevere with innumerable other spin-offs (including the predictable Best Of compilations and an annual Yearbook which was virtually indistinguishable from the regular mag).